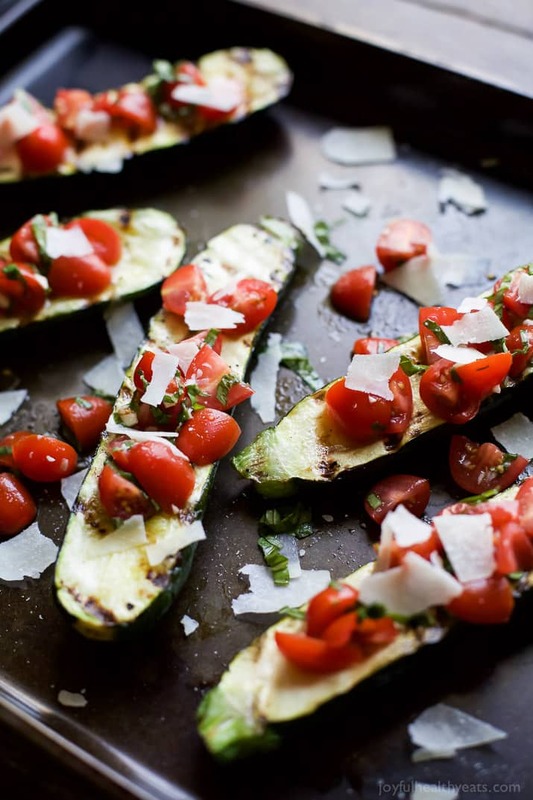 Incredible Crispy and tender Grilled Zucchini topped with a fresh Tomato Basil Bruschetta and Parmesan cheese. 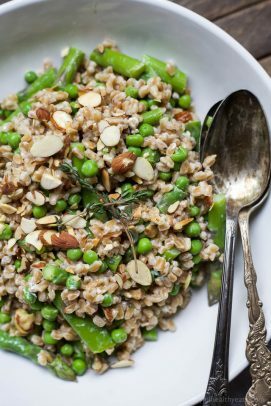 The ultimate side dish that will quickly become a family favorite! For some reason side dishes always seem to be a struggle for me. I can crank out main dishes like nobody’s business, but side dishes are more of a challenge. I guess it’s because when I’m cooking for my family I tend to stick with the veggies and things I KNOW Cason likes … which means it’s asparagus, beets, or cucumbers. All that to say, if I make anything outside of that I know that Cason is not going to eat it and I’ll need to make him some mac & cheese. He was never really a fan of vegetables, he’s more of a fruit guy. But I have noticed that if I hide the vegetables somehow or surround them with flavors he loves I’m good to go. 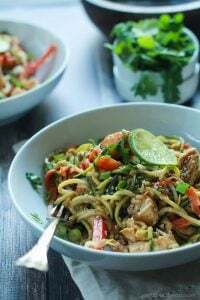 I’ve hidden veggies in things like Cauliflower Alfredo Sauce, Thai Chicken Zucchini Noodles with Peanut Sauce, Ground Beef Enchilada Zucchini Boats, or Pesto Chicken Zoodles with Burst Tomatoes. Bottom line. If he can’t see that it is green, mean, and looking at him … he’s willing to try it. Balsamic is one of his favorites… which cracks me up. What kinda 4 year old like to dip his finger in balsamic vinegar? Apparently MY son … and it makes me happy … because I’m a balsamic lover myself! Sure enough my mommy powers worked. He gave it a try and liked it! 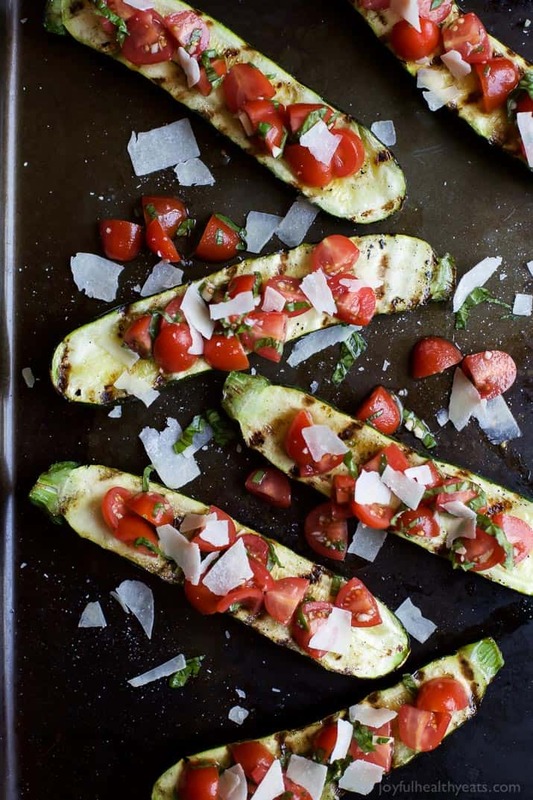 These Zucchini are grilled just until they are slightly charred. So they are a little tender on the outside but still have a bit of a crunch to them, which I like! 🙂 Then they’re topped with a fresh tomato basil bruschetta that has white balsamic vinegar throughout! 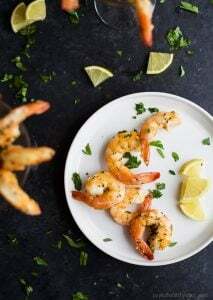 I like to use white balsamic vinegar sometimes because it is a little lighter than regular balsamic vinegar … so it’s perfect for the summer! 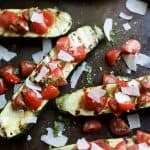 This Grilled Zucchini with Tomato Basil Bruschetta comes together in less than 15 minutes but totally delivers on flavor! 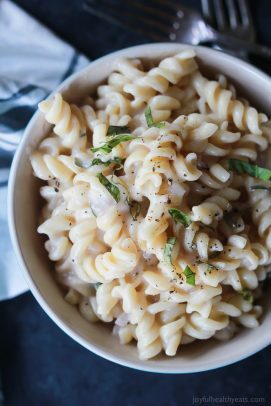 Be sure not to skip on the shaved parmesan, it adds a nice saltiness to the dish! Plus … cheese! Duh! Happy Monday, I hope you have a wonderful start to your week sweet friends! 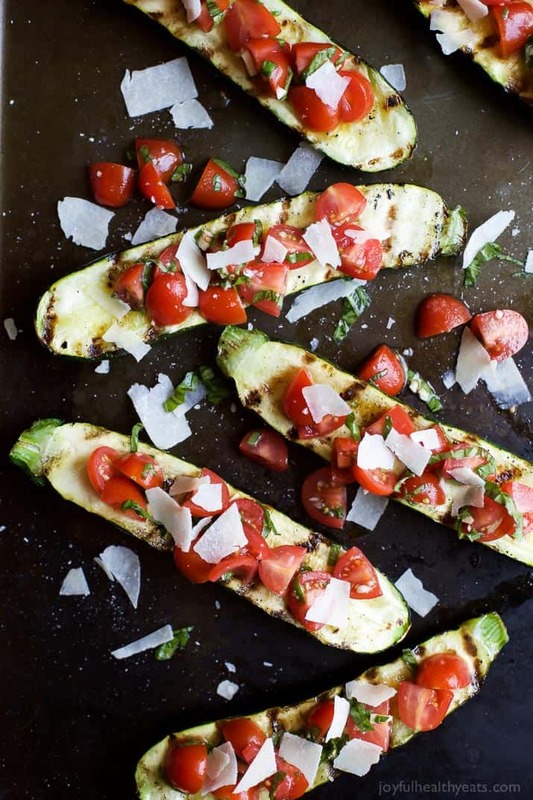 Brush the flesh side zucchini with olive oil and season with salt. 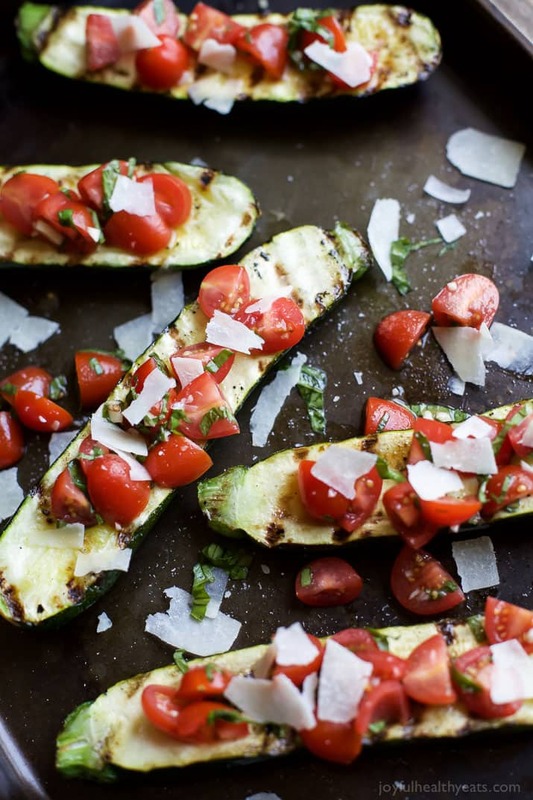 Place zucchini on the grill flesh side down, grill for 4-5 minutes. Flip and grill for another 2 minutes. Remove. 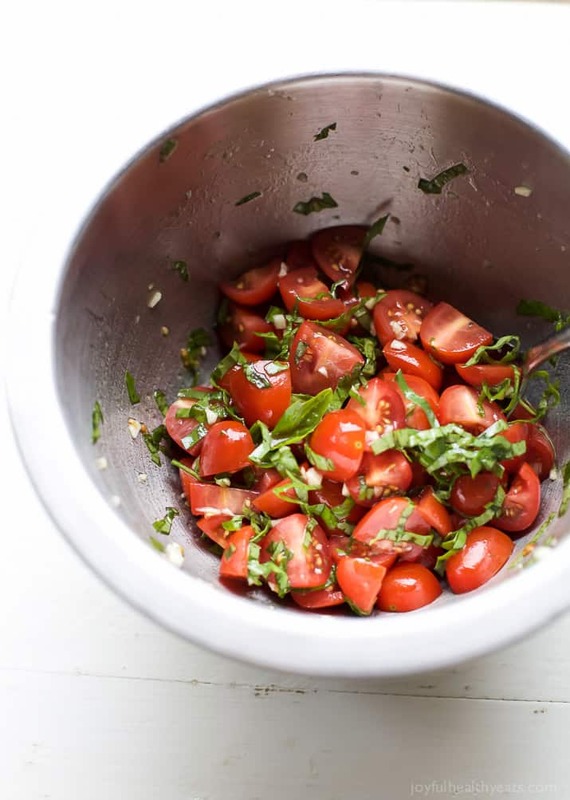 In a small bowl, mix cherry tomatoes, basil, garlic, white balsamic vinegar, olive oil, and salt to taste. Toss to combine. 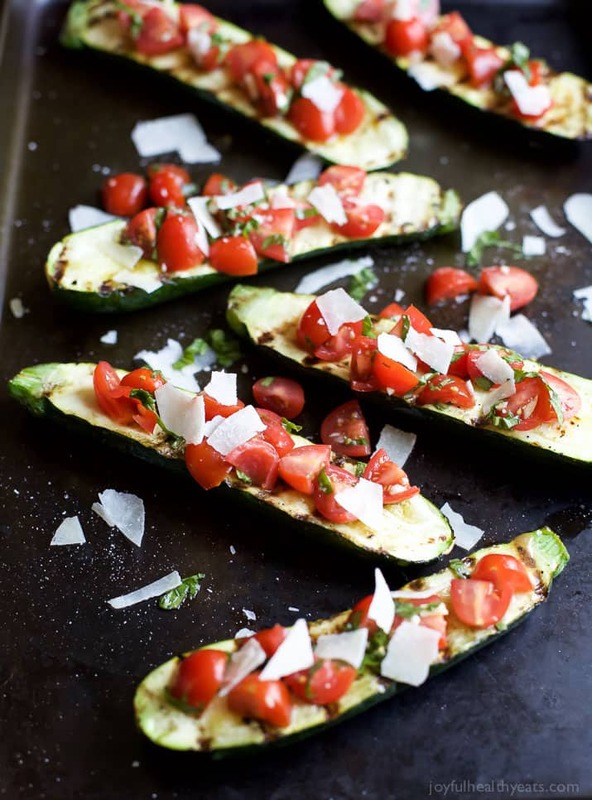 Top each zucchini with tomato basil bruschetta and sprinkle with parmesan cheese. 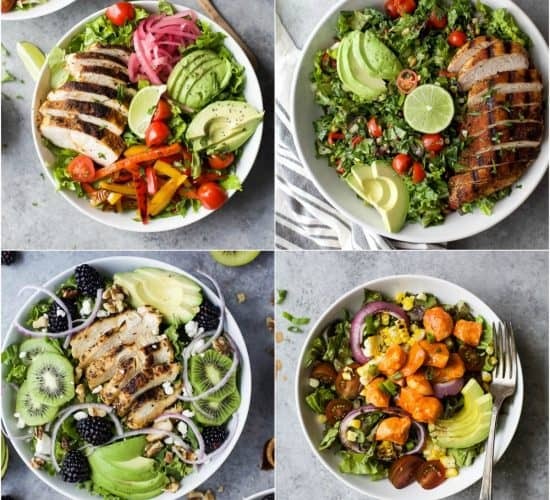 Want More Healthy Side Dishes? Tomato Basil Bruschetta! That’s all I need to know! 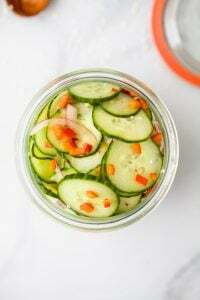 I’m going to love using my zucchini’s to make this! haha…. well sometimes I do that to! This is bound to give you applause though! 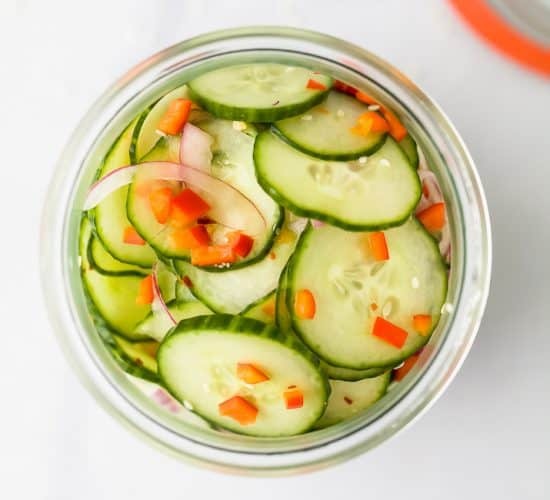 Side dishes are hard for me, too! I’m like Kacey and just skip them. It’s so awful. I’ll make vegetables, but then I just graze on them throughout the day. And then eat a big thing of meat for dinner. Ugh. So bad. These are absolutely gorgeous!! What a wonderful summer meal! Girl, girl, girrrrrl!! 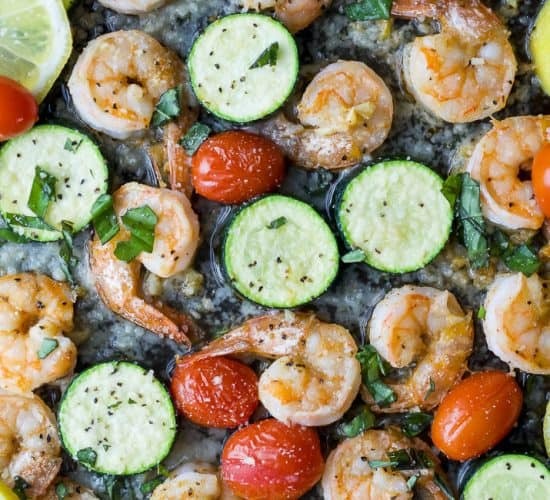 THAT is the prettiest zucchini recipe of EVER! Ohh… thanks girl! You know how to make me blush! Muah! What a great idea. 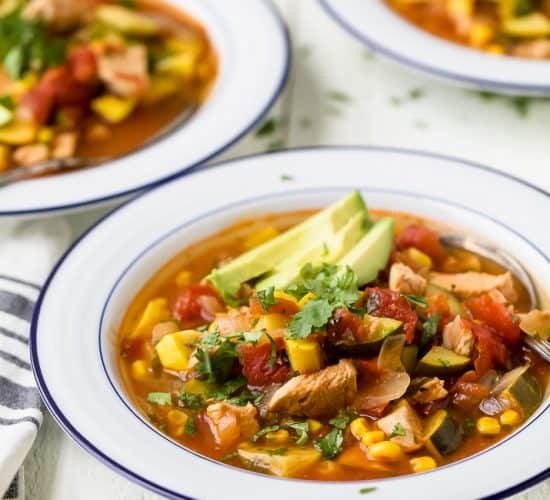 This is great for the summer, so light and healthy. 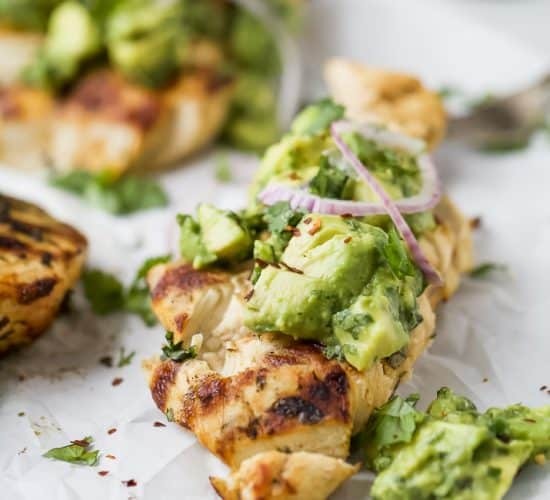 I wish I could have a couple of this for lunch today! Right… so tasty! Thanks girl! I will surely try it tonight;). 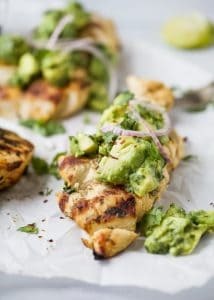 These make me want to fire up the grill! So perfect for summer! I will try it as I’m not that happy for bread! thanks Jakob! I hope you enjoy it! I guess you serve them with skin on ? ?/ Do you eat the skin ??? They look good ! Yup, sure do Jim. They are so good! 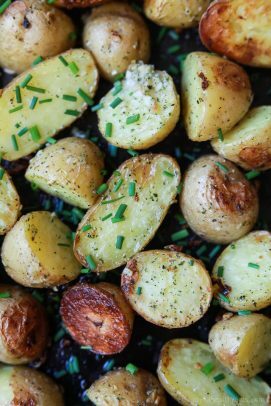 Side dishes are really simple for me because they don’t require much fuss, but I do agree that sometimes you just want to do a lot more with them! 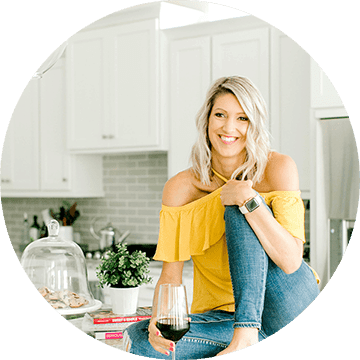 I definitely need some more recipe inspiration myself!